One of the most dangerous, uncomfortable places to have an injury is in the neck, which is particularly vulnerable during automobile accidents. 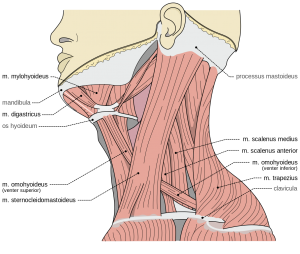 The sensitive structures of the neck can make life a nightmare when injured. The most common car accident injuries to the neck involve the muscles, ligaments, nerves, blood vessels and spinal discs. If you have permanent or temporary pain, suffering, disability, emotional distress, present or future loss of wages or loss of enjoyment of life you may be entitled to compensation from the negligent driver and his insurance company. Sometimes your neck may be injured, but the damage is not obvious immediately. This may be attributed to the release of adrenaline and endorphins that mask pain. Also, damage to the neck can show up much later and also in other body parts. Pain in the neck, hands, arms and shoulders. Reduced range of motion or inability to turn the head to side or up or down. Slower reflexes or numbness and weakness in the hands and/or arms. Insurance companies have for years impugned people who take legal action over neck injuries. A stigma has grown up around neck injury victims, as if to say their suffering is less than someone who has an accident that results in broken bones or internal injuries, for example. Whiplash is not a dirty word. Also, insurance companies try to pay as little as possible when they are faced with claims. 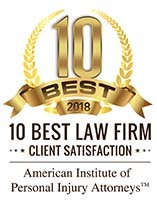 For these reasons, it may pay to have an expert car accident attorney from Krasney Law examine your claim to see whether you should bring a lawsuit or other legal action. We can also assess any settlement you’ve reached with insurance companies to say whether you should sign it. We take cases in the High Desert and Low Desert areas and in any other part of California. 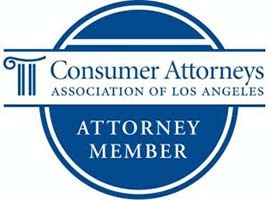 Contact your So Cal auto-accident attorneys at Krasney Law, (909) 380-7200. We charge nothing for an initial consultation, and we may arrange payment on a contingency basis. That is, we don’t get paid unless you get a settlement or we go to trial.